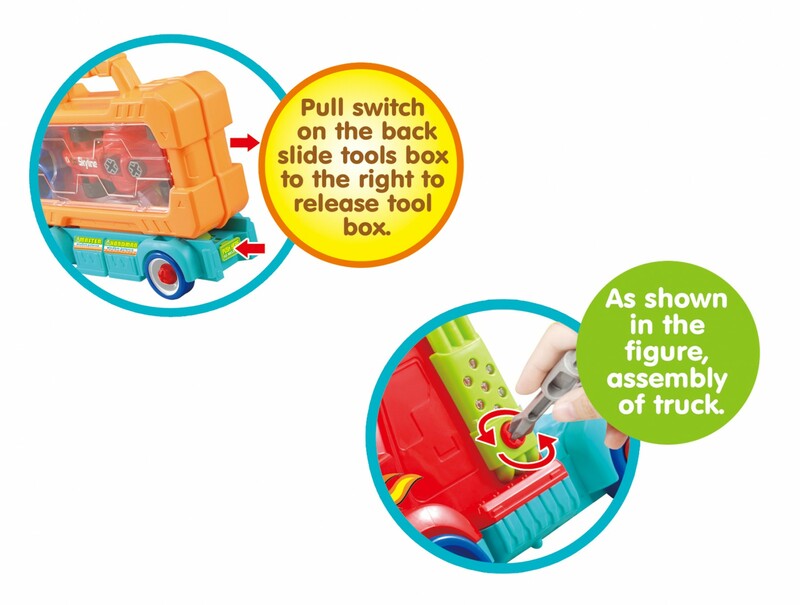 Master Box Dimension : 21" X 19" X 19"
Kids can now learn to take-a-part their own toy vehicle and try to reassemble them again. 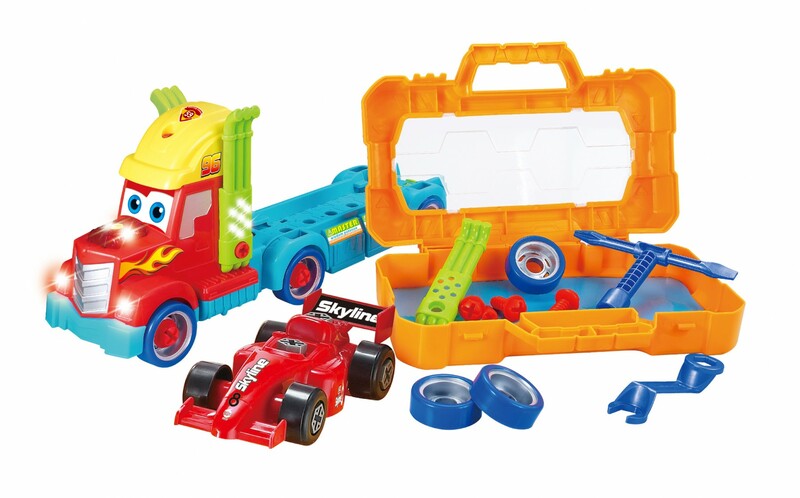 The racing car carrier enables kids to differentiated the different types of tools needed to build the toy. 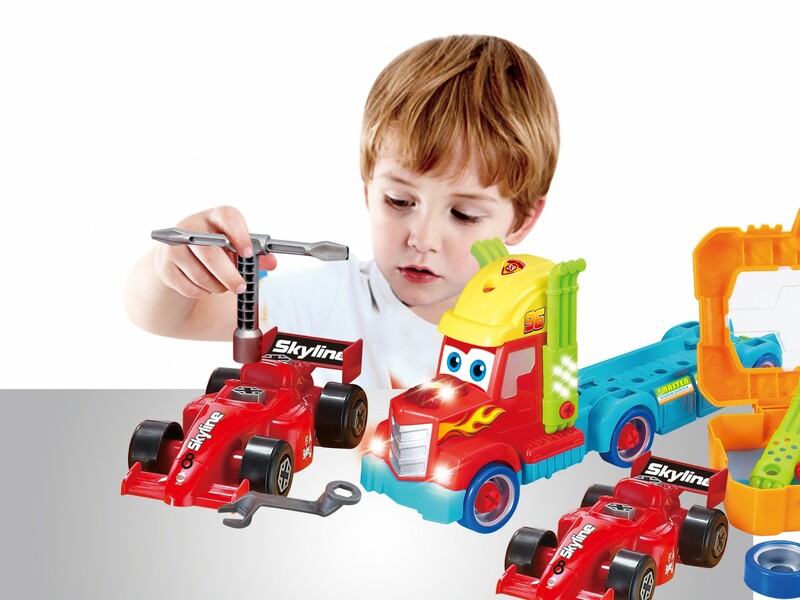 It also strengthens their motor skills and teaches them about which tool goes along with the screws or bolts. 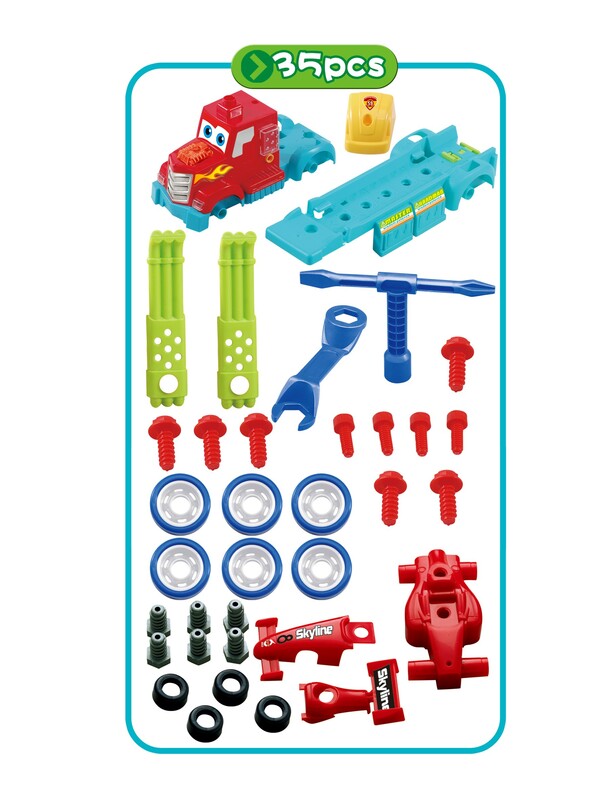 There are several tools such as flat head, screw driver, wrench, and other parts for assembly. 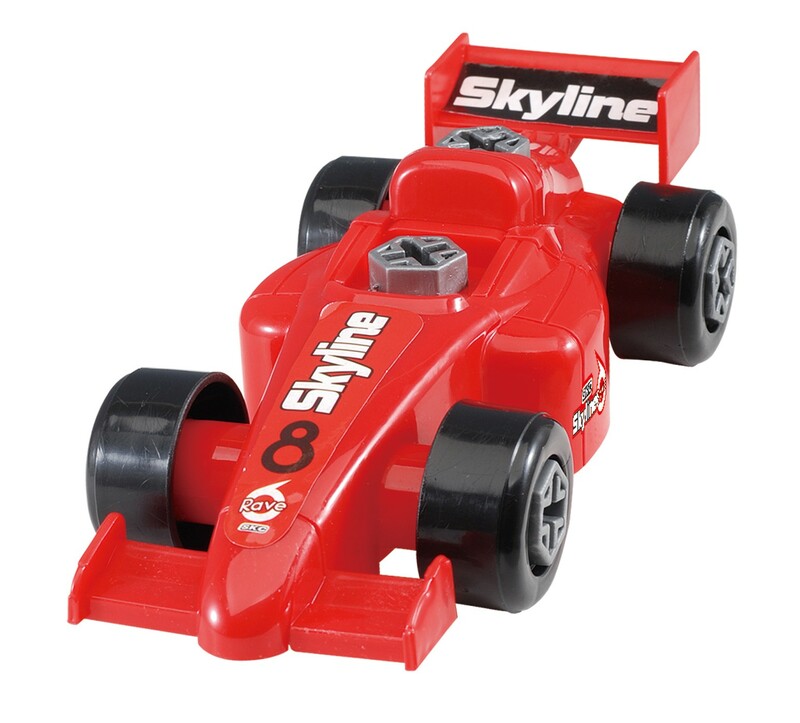 Parents can teach their kids of how to assemble it with the easy to read manual. 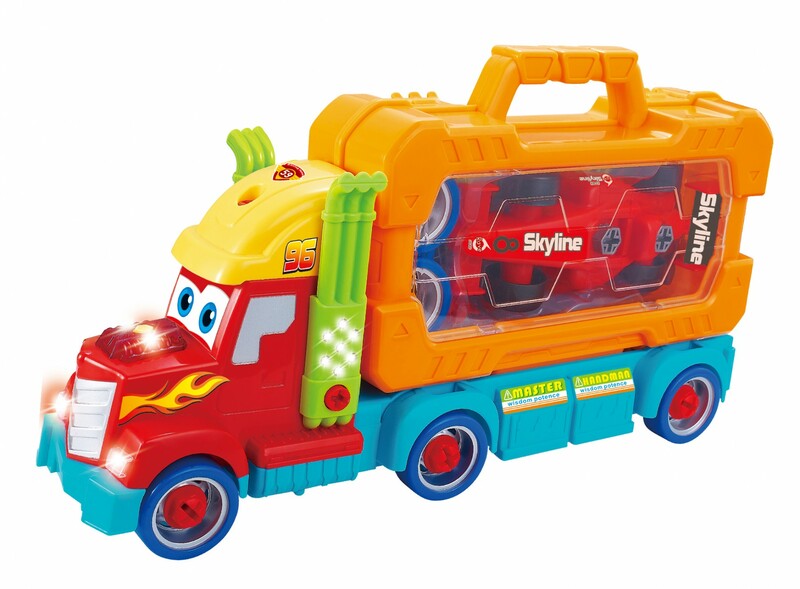 This toy will bring hours of imaginative fun and makes a great gift for kids who simply who loves to take things apart.